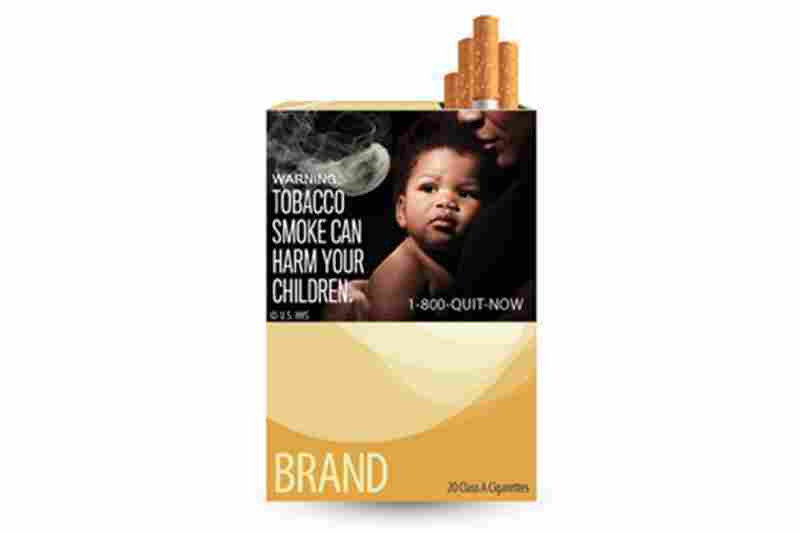 FDA Unveils Graphic Cigarette Labels : Shots - Health News Starting next year, cigarette makers will have to give up the top half on their packages to display nine anti-smoking images in rotation. In ads, 20 percent of the real estate at the top of the ads will have to be devoted to a graphic warning. Coming next year to cigarette packs across the nation. 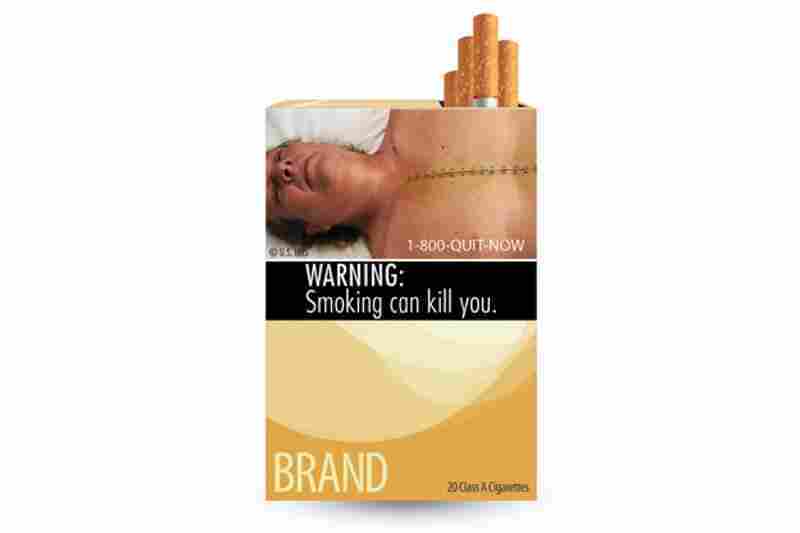 Everybody knew the graphic new cigarette labels the Food and Drug Administration would be disturbing. But the nine selected by the agency may still startle you. The whole idea is that the labels will grab people by the lapels and be the visual equivalent of someone yelling: "Stop smoking!" And, for the most part, the labels unveiled by the agency today live up to the advanced billing. Check out the ravaged teeth and damaged lip in the label on the left for starters. 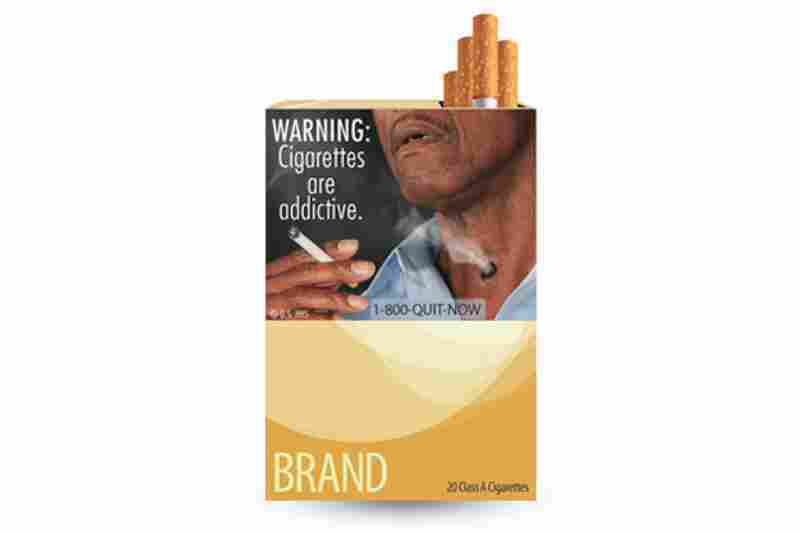 Beginning in Sept. 2012, cigarette makers will have to give up the top half on their packages to display the nine images in rotation. In ads, 20 percent of the real estate at the top of the ads will have to be devoted to a graphic warning. 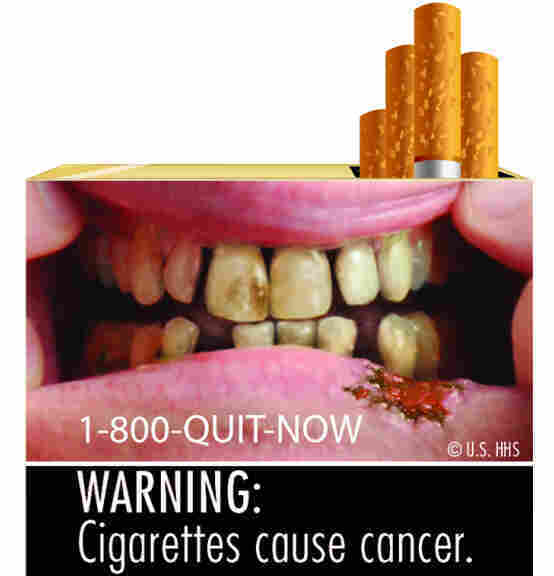 Since the '80s, cigarette packs have featured boxed safety warnings that were more of a whisper. Next year, they'll carry the hard-hitting visuals, a rotating set of text warnings, such as "Cigarettes cause cancer," and a toll-free telephone number for smokers who want help quitting. 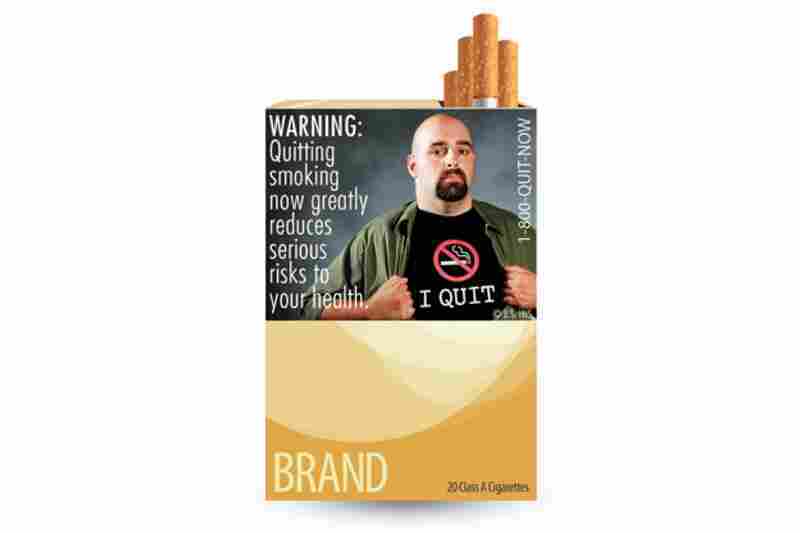 One of the new images is more encouraging that rest; it shows a young, bald man wearing an "I Quit" t-shirt. Will the starker warnings work? 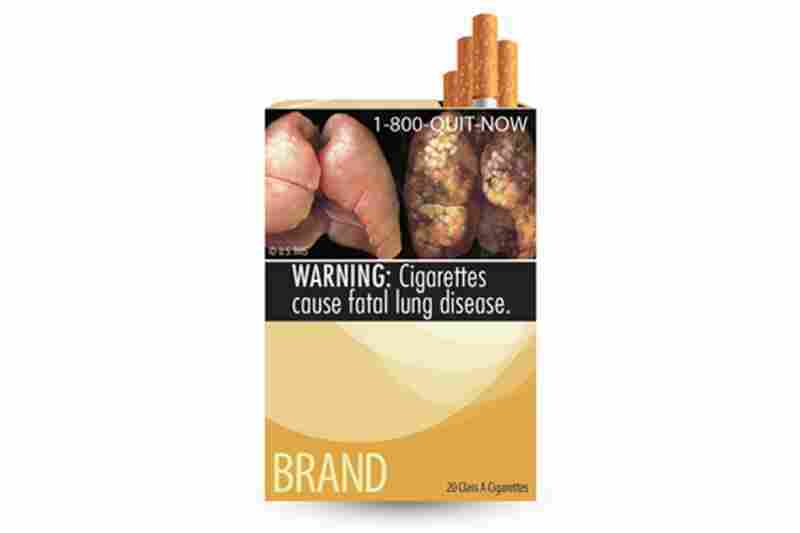 The FDA predicts the new labels will cut the ranks of smokers by 213,000 in 2013, with smaller reductions in later years. 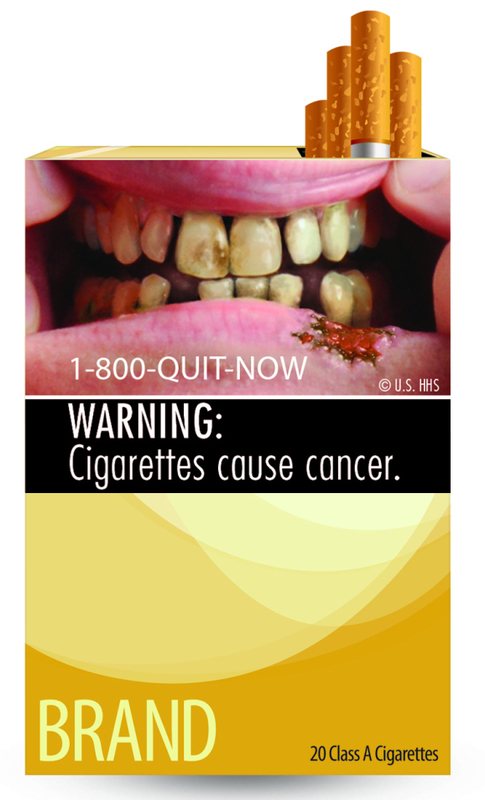 And in Canada, which has had tougher labeling for decades, graphic images have helped increase smokers' motivation to quit. Even so, as the University of Ottawa's David Sweanor told NPR last November, smoking hasn't declined quite as much as some people had hoped because of inadequate access to smoking cessation programs. 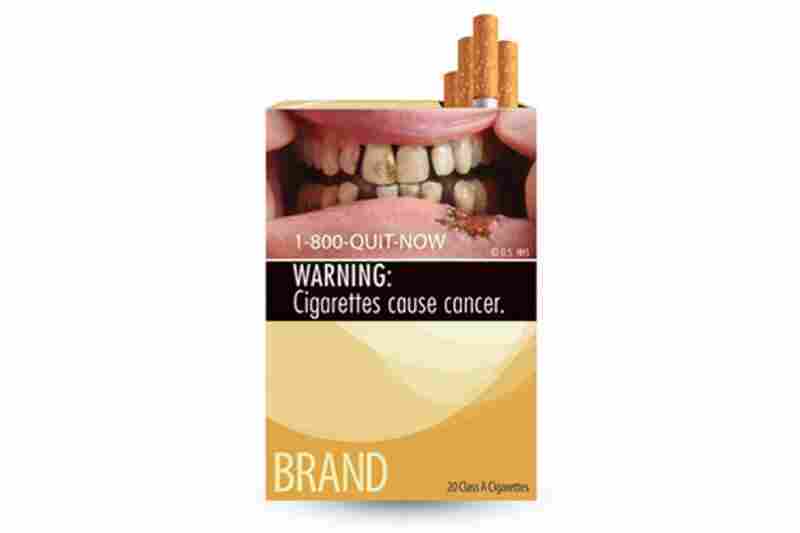 Some research has suggested that graphic warnings may actually reinforce the habit among smokers whose self-esteem is tied to it. But the FDA has its own research, involving 18,000 people, backing up the labels and their likely effect. Late last year, Shots and Thomson Reuters asked Americans about the FDA's proposed graphic warnings. Fifty-four percent people surveyed supported the FDA proposed to deter smoking. About 24 percent were opposed. Check out a slideshow of the coming labels below. 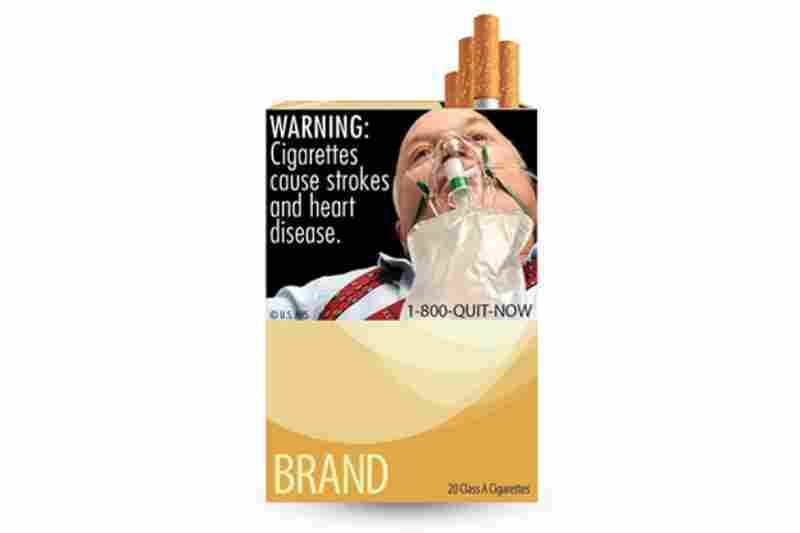 The new cigarette health warning labels released by the FDA. 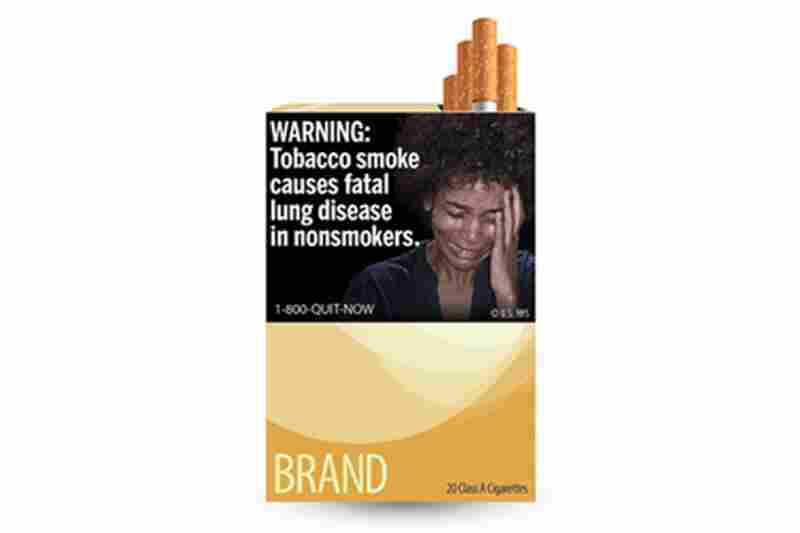 This marks the first change in cigarette labels in 25 years.